Didn't that inspire you to go out and maw a few trees? With the power of modern technology, you can clear an entire Old Growth Forest without ever leaving the comfort of your leather chair. Of course, there is a whole "logging" element to the game now. Much like harvesting wheat or parsnips, you can harvest wood to hopefully realize your dream as a lumber baron. With 16 player co-op, you can rope your friends into a multi-person assembly line of wood production. 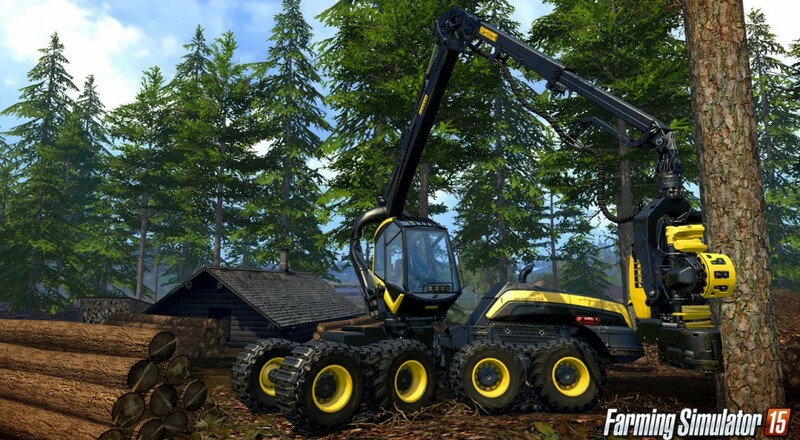 Clearing forests is an important and realistic element for all potential farmland. Since this is a simulation, where the goal is to be as realistic as possible, it only makes sense to tackle the whole process of being a farmer, even before you plant your first row of asparagus. Maybe you'll find the whole wood business more lucrative than having to harvest all those tomatoes. Page created in 0.5779 seconds.